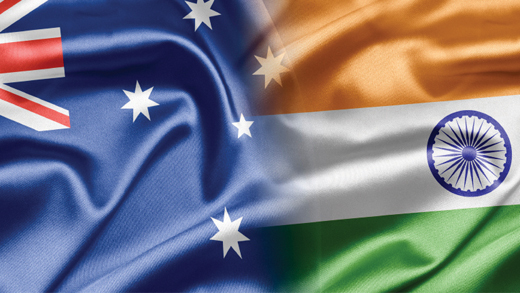 A new report has found Indians comprise over one percent of the total population of Australia while Punjabi, Gujarati, Marathi and Sindhi have emerged as some of the fastest growing languages other than English in the country. The new report – ‘The People of Australia’ – was released recently by the Australian government providing a key statistical picture of the country’s population and the make-up of migrant communities. The latest figures found people born in India continue to be the fourth largest group of residents born overseas, accounting for 1.4 percent of the total Australia population. Based on 2011 census data, there were 295,373 India-born people living in Australia, an increase of 148,000 people when compared to the 2006 census. Minister for Immigration and Border Protection Scott Morrison said that the key statistics of the report revealed the growing importance of Asian migration to Australia – in 2011, there were 148,000 more people born in India, 112,000 more Chinese and 51,000 more people born in the Philippines compared with 2006. “We are a wonderfully successful and cohesive modern immigrant nation that has welcomed those from across the world to become part of the Australian story,” Morrison said. Key statistics of the report further found 252 overseas places of birth represented in the current Australian population, with England in top spot with more than 900,000 people and New Zealand second with 483,000, followed by China and India. The minister said that the report will assist governments and other agencies to respond to the challenges of providing services in a diverse cultural environment, including identification of sectors most in need of English language services. “It should be a source of great pride to all Australians that we have been able to unite from all parts of the world in a modern, cohesive and successful nation. This snapshot shows how far we have come and to shape the way that we manage our challenges now and into the near future,” he said. Almost 1.3 percent of the total population were followers of Hinduism in 2011, an increase of 86 percent when compared to 2006 census, according to the report. Over 71,000 people were Punjabi-speaking migrants and the language grew by over 207 per cent since 2006 while over 34,000 migrants were Gujarati-speaking and the language recorded over 188 per cent growth since 2006. Even Marathi emerged as a fast-growing language other than English by recording growth of slightly over 111 percent since 2006 with over 8,500 migrants speaking the language as per 2011 census. Kashmiri was one of the new ethnicities included in this year’s report for the first time. Over 150 Kashmiri-speaking homes were recorded during 2011 as compared to 85 in 2006. They also topped the list of the highest broadband connectivity by language spoken for 2011 followed by Marathi, Kannada and Malayalam and Oriya.